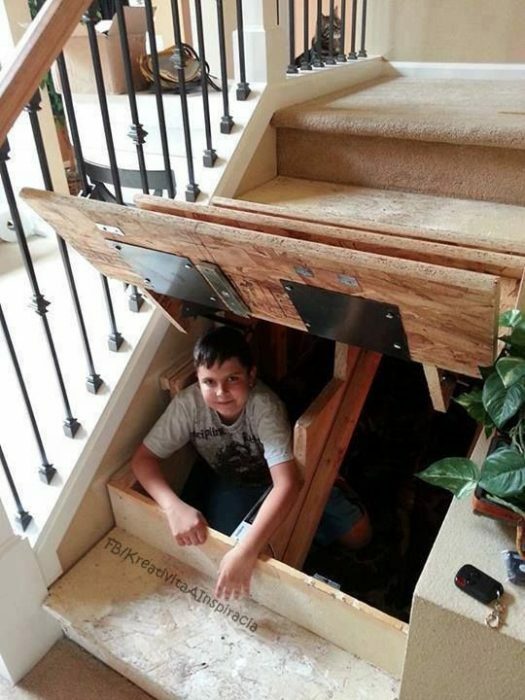 This is a brilliant idea for some extra storage – maybe for valuables – who would ever think to look under a stair??? Great for small storage spaces where additional space is needed – and much more cool and secretive than the side doors that lead into under-stair storage. Can you imagine a game of hide and seek with this bad boy? ?